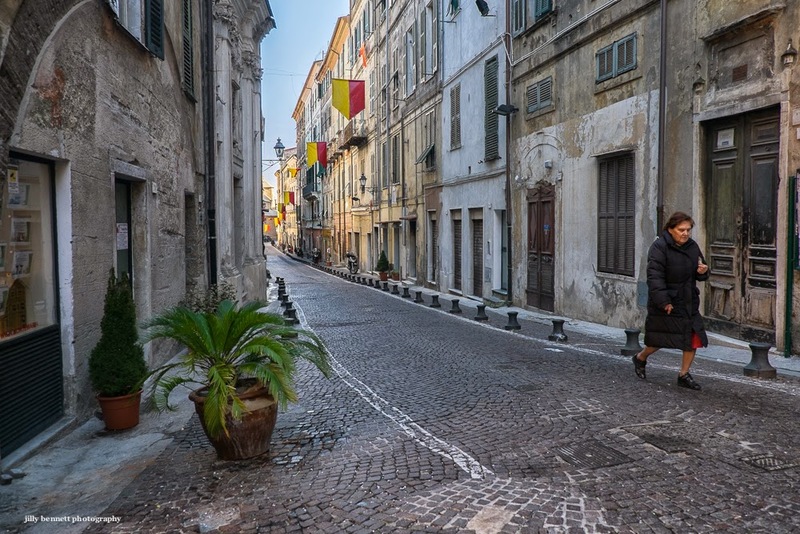 A narrow and dark cobblestone street in Ventimiglia Alta. But at each end, the warm Mediterranean sunshine awaits. Une rue pavée étroite et sombre à Ventimiglia Alta. Mais à chaque extrémité, le soleil de la Méditerranée attend. Nice pic! I think I've walked this street as well. Isn't there a little super market on the left hand side? Quite a pleasant looking street. I like the natural combination of warm and cool colors. But how did you keep her face relatively bright and warm? Light coming up the street from behind you? Oh my, Jilly, this is a prizewinner! A shot I can look at for ages.